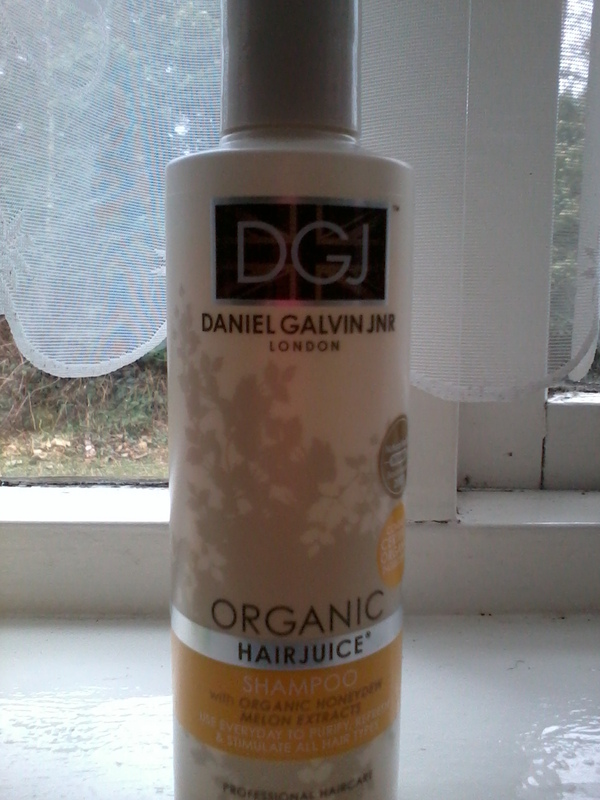 DGJ Organics aka Daniel Galvin Junior shampoo was recommended to me by Sarah at BEskincareful. After reading her review I decided to try it for myself. To give you some background DGJ products are made with plant derived natural ingredients enhanced with Organic essential oils and do not contain SLS (Sodium Laureth/Lauryl Sulphates) or parabens. I have mention before that I have a love/hate relationship with SLS free haircare. I find natural haircare does not perform to a standard I am happy with or the essential oils irritate my scalp. On the other hand, a large majority of salon and high street brands are not suitable as they can cause skin irritation. Basically, when it comes to haircare it's a nightmare battle between my eczema, allergies and the desire to cut out certain ingredients. I openly admit, my regular favourite shampoo is loaded with undesirable ingredients. I purchased the HairJuice Honeydewmelon Shampoo (250ml £4.39) at Waitrose. This is described as an everyday shampoo for all hair types. The fragrance is lovely and fresh, exactly like melon. For an SLS free shampoo this lathers reasonably well, something which I have never been able to achieve from other brands. When testing this product I stuck to my regular routine of washing my hair every other day. I like the feel of my hair on the day of washing. It felt clean and refreshed but unfortunately, I was not happy on the second day. My hair appeared to loose its glossy shine and the texture was greasier than I would normally expect. However, I am pleased to report I did not experience any skin or scalp irritation whilst testing this product (I always recommend you patch test a new product). Overall, I like that this shampoo is available in a supermarket at a reasonable price. Also I am impressed with the lather considering it is free from SLS . I do not think this is correct shampoo for my hair but I have not been put off trying another shampoo from the range (Glossy Brunette, Glossy Blonde & Lavender Hangover Hair). In case you are wondering, I have short fine hair but it's thick because I am blessed with so much of it (lol), I also colour my hair every 5-6 weeks. If you do not live near a Waitrose you can purchase online. DGJ Organics also have a couple of haircare products for children. Have you tried DGJ Organic haircare? What did you think? Can you recommend any other SLS free shampoos/conditioners? i never tried SLS free shampoo? what difference is it to regular shampoo? I've not tried this brand. I do use a natural shampoo from SheaButter Cottage which I love and so does my hair. It has very little lather but cleans and repairs very well. I add some more water if I feel it needs extra oomph to replace foamy lather, this works well for me. I've looked at the Jason ones but have not seen any reviews about them, I do buy expensive products but usually when on special offer. I have not tried a shampoo bar I find the concept a little odd. I'm lucky not to suffer from eczema on my scalp but it is sensitive. Thanks for the recommendation, I have yet to try Aubrey products so I will keep this in mind :) It is always nice to hear when people find something that works for them. I'm on the quest to look for a good SLS free haircare. The current favourite was yes to cucumbers, I happened to saw this in waitroise today so will be giving it a go.